Old River Fishing Well ! 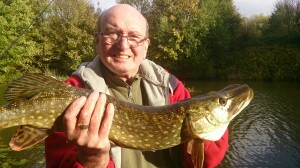 I’ve been getting lots of reports from anglers recently telling me that the Old River in Irlam has been fishing well. “Fishing the Old River regularly.Catching plenty of Roach and Perch,mostly small stuff although the Roach run to about 14oz.Pike are a nuisance! If you go down to the Old River, please make sure that you leave your peg clean and tidy. We will be holding a work party on the Old River sometime during the Xmas break – a few of the pegs need re-boarding and have become a little over grown. A friend and I fished the old river a couple of weeks ago. We used pole and bomb with maggot and pinkie on pegs 16&17 for 4hours without a bite. Any recent news of the old river I used to fish it as a kid I know all the news (poisoning/restocking) has there been any tench or bream of nice size? Or is it still too early to get decent sized fish? Was thinking about fishing it next week. my last attempt for a post. fingers crossed, fished today, 23/07/2014, lots of young fish to maggot, rudd, perch and roach. only finger sized but plenty. weather was hot and breezy.small jacks were hitting on occations. fed pinkie, hemp, soked in krill oil. plenty of fizzing over baited area but no takers. good luck worth a try. I fished the Old River Sunday the 6th July and experienced exactly the same as you. Lots of small stuff to maggot but not able to get bites from whatever was fizzing over my baited area – I also used hemp as feed. I know it was fish causing the bubbling, as it only took place over my feed. I think the tench and skimmers we stocked are the likely culprits – and I’ve got a plan to try and get them next time I go.